Spring is one of the best times to catch monster bass. Follow these simple tips to cash in on all the action. When the water temperature starts creeping into the 50s in spring, bass begin their annual migration toward the bank. It’s the best time of the year to catch a big one. Bass are America’s favorite sportfish and also the most accessible. Whether they’re the largemouth, spotted or smallmouth variety, bass are found from coast to coast, in every state except Alaska. They flourish in the Great Lakes and in farm ponds, rivers and reservoirs. And even those new to fishing can go after them for as little as the cost of a rod, reel and a few lures. All you need are a few simple tips and you can be catching big bass in no time. 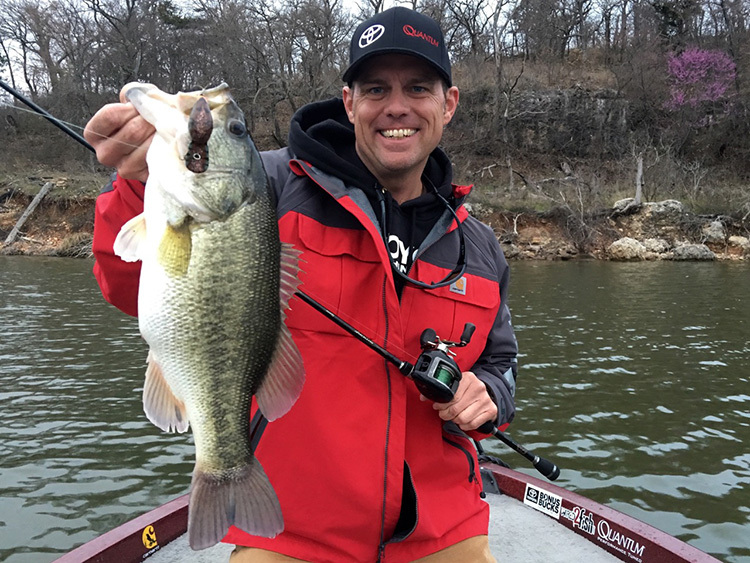 Bass can be caught year-round, but spring is the best season to fish for them, which also means it’s the best time for novice anglers to get started in the sport. After sulking through winter, bass are on the move in spring – fattening up for the annual spawn and generally heading toward the shorelines where they fan out their nests and lay their eggs. After the spawn and a short recuperation period, they start roaming the banks and feeding on shad, sunfish, crawfish and various other forage before they begin to migrate toward their summer haunts offshore. 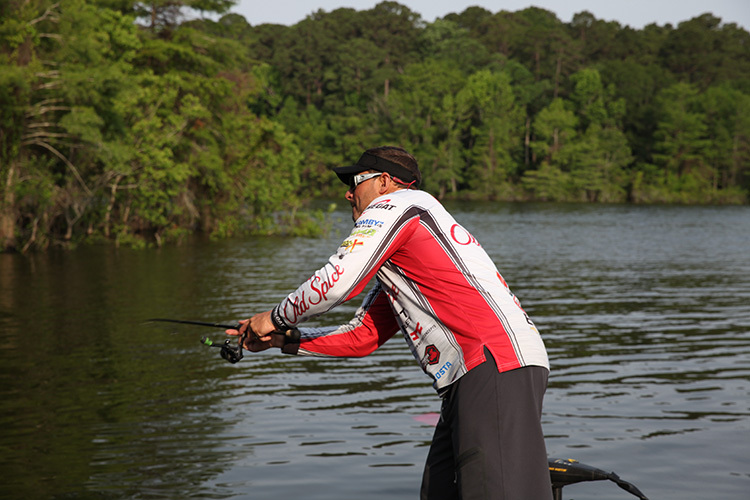 Here are a few tips to get bass tugging on your line this spring. 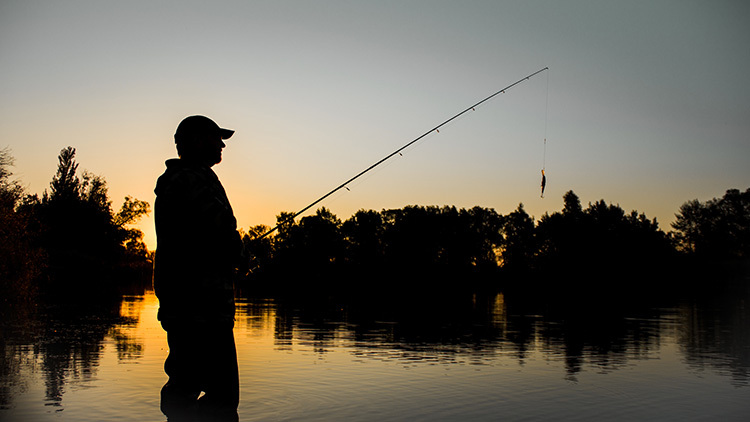 Wear good sunglasses that protect your eyes, cut through surface glare and bring out contrasts under the water, such as a bass hovering near a bed. Bass can be caught from boats and kayaks in giant lakes and rivers. But they can also be caught by fishermen walking the banks at ponds in dairy farms, city parks or golf courses. Geographically speaking, lakes in Florida, Georgia, Texas and other Deep South states produce the best fishing early in the season. 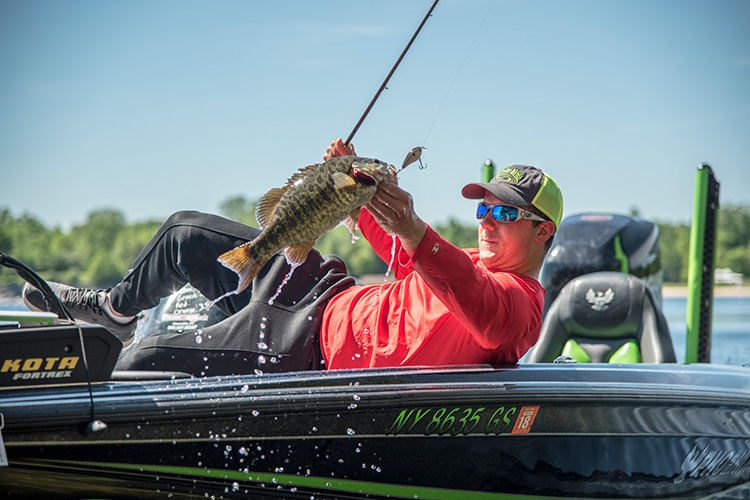 Wherever the lake is located, bass start moving in successive waves from the depths toward the shallows where they spawn when the water warms into the 50s and 60s. A caveat: because of the relatively shorter season when northern waters warm to optimum spawning range, some states, such as New York and Minnesota, regulate bass fishing by imposing seasons or catch-and-release requirements. 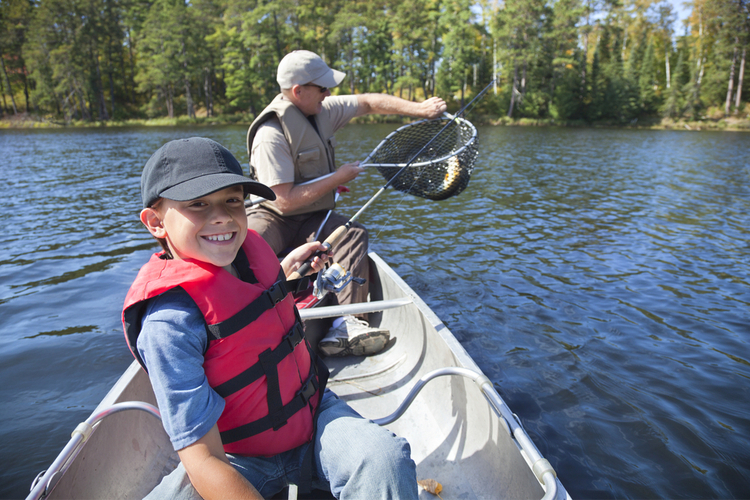 Be sure to check a state’s online fishing regulations before planning a trip there. Bass choose secluded coves, preferably with lots of cover such as fallen trees or aquatic vegetation, for spawning. A south-facing shoreline usually is the place to start looking. It’s been said that 90 percent of the fish occupy 10 percent of the water. Relatively speaking, that’s true, which is why it’s advisable to hire a guide for at least a day when fishing a large lake for the first time. 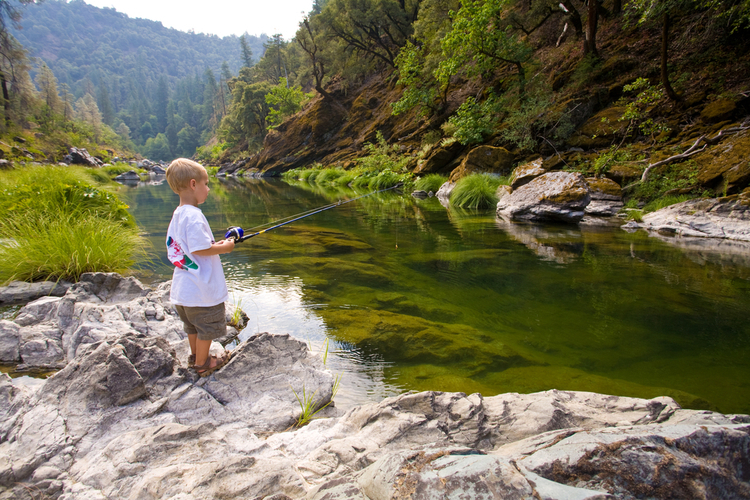 Hiring a guide will also get you into the action quicker, which is critical if you have youngsters along that you want to start catching fish as soon as possible. 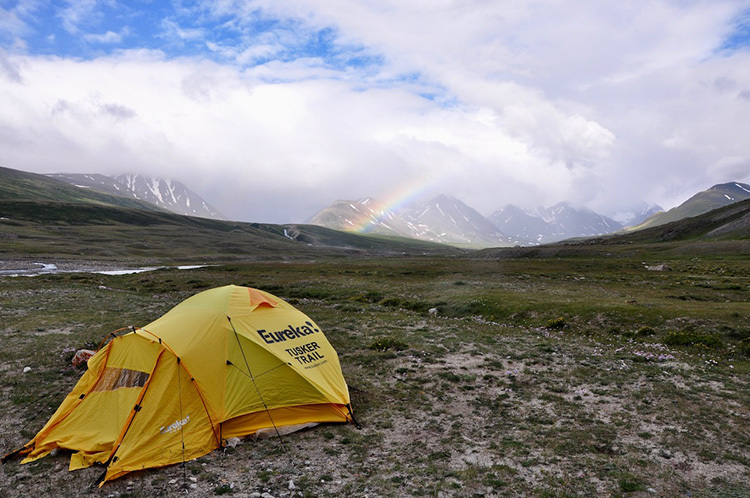 To find a guide, Google the name of the particular lake that you plan to visit. The site will have links to all sorts of useful information, including various guide services. No lure color is too garish for smallmouths. If you’re in brown bass country, try different hues such as hot pink, yellow, chartreuse and orange. To attract strikes, some lures, such as jigs and surface baits, require the angler to impart action to them with the rod. Other lures, such as spinnerbaits and lipless or square-bill crankbaits, have built-in action; cast them out and wind them back in. Certain topwater baits, such as Arbogast Jitterbugs and River2Sea Whopper Ploppers, also require no manipulation beyond a steady retrieve. The theory is that, like a cat that sees a mouse running by and pounces on it whether it’s hungry or not, bass will react the same way sometimes when a lure swims by. 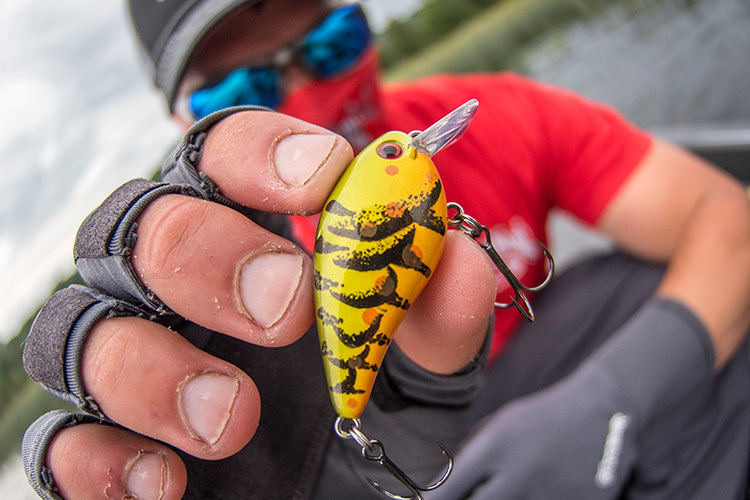 Natural shapes that mimic shad and crawfish, and colors, such as pumpkinseed and watermelon, are popular throughout spring, but when sight-feeding smallmouths are targeted in the clear waters of northern lakes, crankbaits in wild colors such as hot pink, chartreuse and hot orange are productive. In a manner of speaking, there are three bass seasons in the spring— prespawn, spawn and postspawn—and they overlap somewhat in terms of the best lures to use and where to fish. Prespawn: Concentrate on mid-depth to shallow water. Bass might be positioned at the mouth of spawning coves, a third of the way in or halfway – it depends on the water temperature. 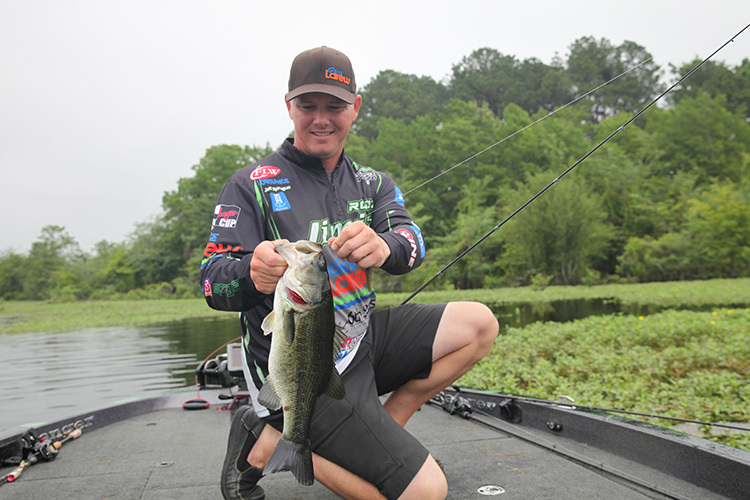 Be sure to fish around and under docks thoroughly and use lipless crankbaits, square-bill crankbaits, suspending jerkbaits, spinnerbaits and soft-plastic swimbaits that mimic minnows. Spawn: Look in shallow coves on the north side of a lake that gets afternoon sun, or anywhere there’s not a lot of bank shade. Scattered aquatic vegetation, submerged horizontal trees and brush and woody bank cover are bass magnets. Try unweighted plastic lizards and worms, jigs that imitate crawfish, buzzbaits and topwater lures. Postspawn: Bass will stay close to shorelines or in intermediate depths, depending on their food sources. Find pockets where bluegills are spawning, and ravenous bass will be close by. If threadfin shad are present, look for bass around spawning shad schools at daybreak. Otherwise, fish secondary drop-offs near the banks, bridge pilings and shoreline riprap, submerged points and docks. Spinnerbaits, topwater lures, jerkbaits, buzzbaits, topwater propbaits, mid-depth square-bill crankbaits and a variety of soft plastics will produce now. Fishing seasons are imposed in some northern waters to allow bass to spawn in what is relatively a short window of opportunity. Be sure to check state regulations before you wet a line. The reason the best bass fishing is usually in the spring is because the fish move to the shallows to feed and spawn. In the prespawn period when the water is just beginning to warm, larger female bass typically return to staging areas such as flooded creek bends, under docks and alongside submerged points that extend from deeper water or humps and sandbars. Being cold-blooded, the body temperature and metabolism of a bass is regulated by the surrounding water temperature. The females’ eggs are incubated by the heating water, which is why females move away from their spawning beds near the bank when a spring cold front passes through and wait it out until warmer weather returns. Male bass are comparable to young bucks that often make rubs and scrapes well before the does are ready to breed. If you start catching small bass in a cove that is warmed by the afternoon sun, chances are they’re aggressive males trying to rush the season. It also might indicate that you’re in a prime area to catch a bigger female shopping for a suitable partner. Approach a shallow cove as closely and quietly as possible. Wear a good pair of sunglasses with lenses tinted to bring out contrasts, such as amber or copper. Scan the water ahead of you and watch for bass swirling in the shallows as they chase bream away from their spawning nests. If possible, approach the shoreline from an angle so that the sun doesn’t cast your shadow on the water ahead. A bed will appear to be a small crater or fanned-out area that is lighter than the surrounding bottom. Cast well beyond the bed and bring the bait by it. Don’t overdo it; sometimes it pays to leave a reluctant bass on a bed after a couple of casts and return when it is in a more aggressive mood. Spring bass can be caught on a variety of subsurface and topwater lures, but the rule of thumb is to fish with baits that you can use to cover a lot of water. 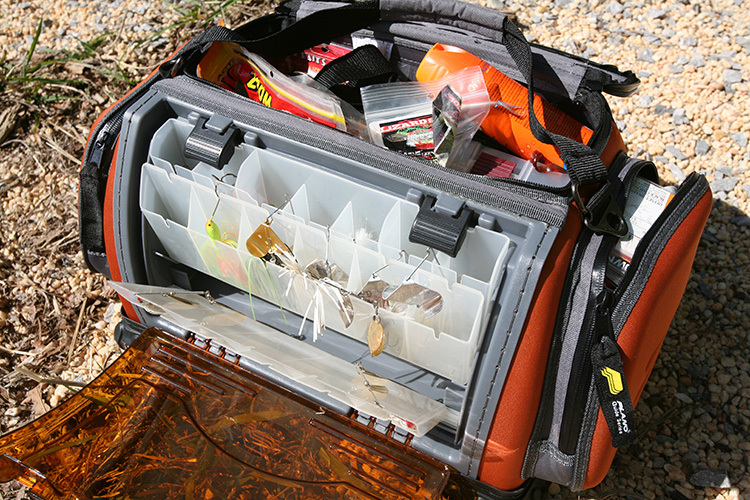 Though baitcasting tackle is the most popular type of gear for bass fishing overall, it can be a big turnoff for fishing newcomers because these reels require some practice to master. Beginners can be frustrated by backlashes, and the monofilament or fluorocarbon line used in spinning reels can snarl. Push the thumb button on a spincast reel, release it in the forward motion, and you’ve made a cast. Over time, the user will develop the skills necessary to use baitcasting tackle, which is better for more sophisticated presentations such as pitching and flipping and facilitates more accurate placement of lures around and under bass-holding cover. Zebco, Abu Garcia, Pflueger, Daiwa and Shakespeare are among the best-known companies that provide inexpensive spincast reels and rod-and-reel combos through fishing tackle stores and departments. Monofilament or fluorocarbon fishing line in 6- to 10-pound test also is readily available. Typically, spincast reels are sold with their spools already filled with the line that the manufacturer recommends for that particular model and size. The major difference between nylon monofilament and fluorocarbon is that the latter tends to sink quicker than mono – an important distinction if you’re fishing a subsurface lure.